What a night! 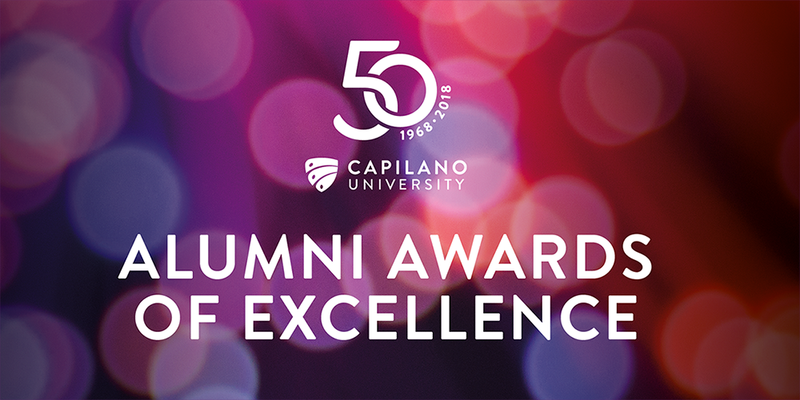 Capilano University (CapU) and the Capilano University Alumni Association (CUAA) were pleased to present a special anniversary edition of the Alumni Awards of Excellence! Hosted at the Pipe Shop in Lower Lonsdale, the event created opportunities for alumni and Capilano University to come together and celebrate. Thank you to all who attended. This event marks the 10-year anniversary of the Capilano University Alumni Association and the 50th anniversary of Capilano University. For more information about our events or to set one up, contact us at alumni@capilanou.ca or 604 984 4983. Jullian Kolstee, Bachelor of Communications Studies, 2017, was recognized in the luminous category for his contribution as a student politician to CapU and his commitment to educating and supporting youth in and out of the classroom. Kolstee served on the Board of the Capilano Students’ Union for three years, including one year as president. He was voted biggest campus changemaker and best student politician in the 2016; Capilano Courier readers’ choice awards. Kolstee has also voluntarily coached high school improv teams across the Lower Mainland. In 2013, he received the Outstanding Supporter of Youth Award from the City of North Vancouver. Amina el Mantari, Bachelor of Business Administration, 2017, exemplifies what it means to live a unified life. In 2006, to overcome feelings of isolation after moving from Morocco to Canada, el Mantari began working to improve her education and connect with others. At CapU, she volunteered as an international student mentor, became vice president of internal development of the Capilano Students’ Union and president of the student-run Capilano Human Resource Management Association. She’s also volunteered for the North Shore Crisis Services Society. In 2016, el Mantari received a Live Your Dream Award from Soroptimist International of North and West Vancouver, an organization working to improve the lives of girls and women. Danette (Petie) Chalifoux, Bachelor of Motion Picture Arts, 2017, exemplifies CapU’s brand essence of enduring through her commitment to fostering relationships with Indigenous communities and to sharing stories that build cross-cultural understanding. Chalifoux completed her first feature film, River of Silence, which explores issues around missing and murdered Indigenous women, while still a student in the Motion Picture Arts program at CapU. The film premiered at the LA Skins Film Festival in Los Angeles in 2017. She continues to work closely with Indigenous communities to create films about topics that include the legacy of residential schools, Aboriginal culture and language and violence against women. Kaya Dorey, Bachelor of Tourism Management, 2013, characterizes what it means to be confident. Dorey began thinking about sustainability and changemaking as a student at CapU. She went on to found NOVEL SUPPLY CO., an apparel line manufactured in Vancouver that uses sustainable materials and local illustrators. Aiming for zero waste, the company works with a local non-profit to use fabric scraps from production in children’s apparel. The company plans to launch a closed-loop business model this winter. When a customer is finished with a garment they can return it to NOVEL, which will find a new use for it. In 2017, Dorey was one of six young people worldwide to receive a Young Champion of the Earth Award from the United Nations Environment Programme.